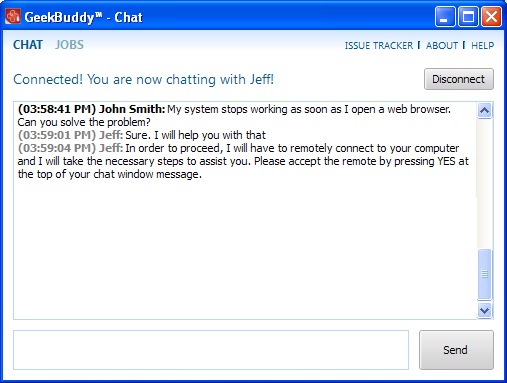 In order to solve certain issues, the support technician may need to directly connect to your computer via a remote connection. Remote control can only go ahead if you grant permission for this to happen. 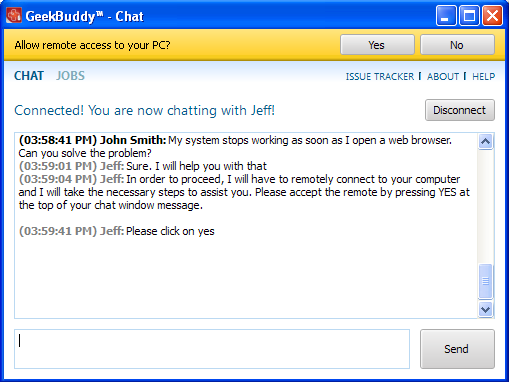 Our technicians will always request your permission via the chat window. The technician will ask your permission before he or she makes any changes to your machine. Such changes might include installing programs, creating system restore points or deleting unnecessary or infected files. Click the 'Yes' button at the top of the interface in order to allow the technician to connect to your computer. Upon completion of their work, the technician will disconnect from your computer, inform you that the requested tasks have been completed and ask whether you would like help with anything else. 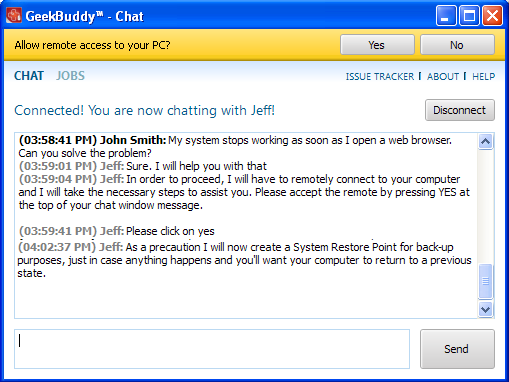 Click the 'Disconnect' button and confirm it in the next screen to end the session with our GeekBuddy. 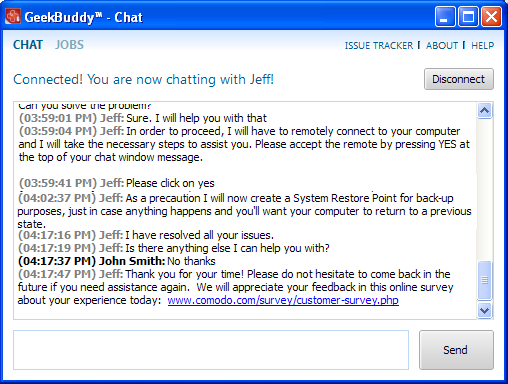 Congratulations, you just finished your first GeekBuddy support session. We hope you enjoy using your trouble-free computer.